The thyroid gland is an important hormone-producing gland and releases thyroxine, important for metabolism regulation. Increased or decreased amounts of it can cause symptoms starting from mood swings to altered reproduction. One of the first symptoms of thyroid abnormalities is the presence of a thyroid nodule. These nodules can be cystic, firm, or solid depending on the underlying reason for the nodule. Hypothyroidism is more common than hyperthyroidism, and in an effort to produce more thyroxine, the gland swells producing the famous thyroid nodule. The nodule here is firm. In cases of infections, the nodules are more likely to be cystic. Cancerous thyroid nodules are hard. 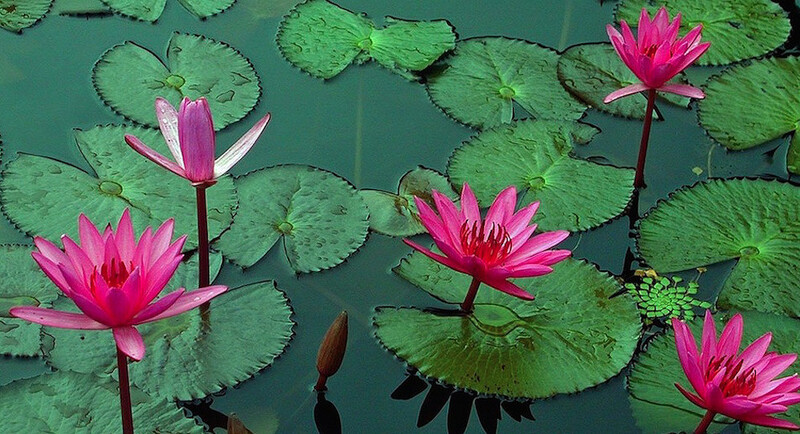 In homeopathy, there is no general treatment and no specific remedies for any disease. Rather, treatment is individualized. This means that the presentation of a disease in each patient is considered unique, and the homeopath prescribes remedies after an intimate consultation with each patient. During the homeopathy consultation the homeopath considers more than just the symptoms of the disease. He also considers the disposition and constitution of the patient. This means that the homeopath approaches treatment by weighing the physical, mental and emotional states of the patient as well as the symptoms of the disease. Iodum: Hypothyroidism accounts for 80% of all nodules, and this is caused by iodine deficiency. Including iodine rich foods such as shellfish, iodized salt, and seafood will help compensate the reduced iodine levels in the body and improve production of thyroid. Bromium: This gives the body the required amounts of bromium which is another nonmetal, similar to iodine. It is used to treat patients who present with symptoms of hyperthyroidism, including increased metabolic rate, heat intolerance and weight loss. Calcarea carb: Obtained from oyster shells is useful in patients who present with symptoms of hypothyroidism. These people are depressed, nervous, fatigued with a poor body and mental response. Lapis alba: Useful in tumours or nodules in a number of organs, it is also used when a patient presents with a thyroid nodule. It contains silico-fluoride salt of calcium and is useful in a number of cases where tumours are developing and also to resolve goitre. Spongia: This marine creature soaks up the nutrients from under the sea and given its spongy nature, retains them for long periods. 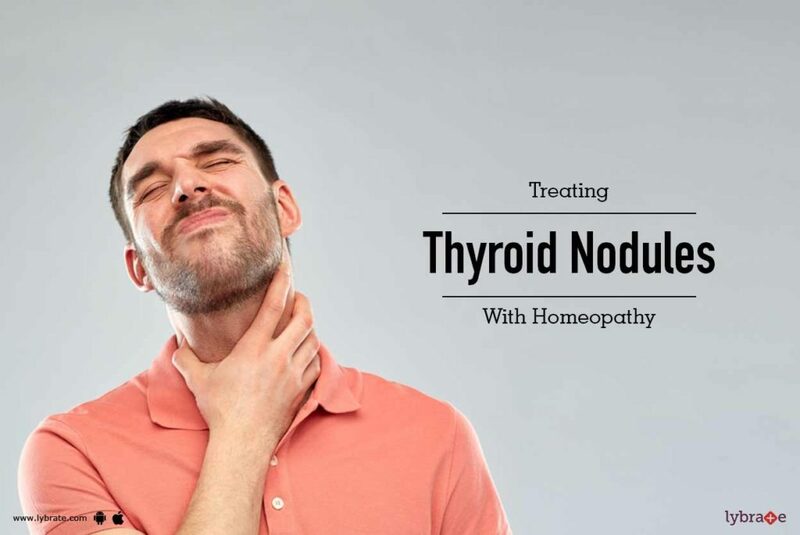 As it is rich in iodine and other nutrients, it is dried and used in powder form to treat thyroid nodules. Lycopus: The flowering plant called bugleweed or Lycopus virginicus can be used in dried form or fresh form. Used as a tincture or a lotion, it is helpful in people who are irritable and present with respiratory problems. The nodules gradually reduce in size and the pulse and breathing improves. Natrum muriaticum: In people with palpitations and exophthalmos, (bulging of eyes present along with swelling of the thyroid gland), who may also be very weak in appearance, Natrum can be used. If people have begun treatment with some other compound and discontinued, Natrum is indicated in these people too. It is important to note, while these compounds are used, self-medication is not advised. Consult a specialized homeopath who will identify what will work for you, as each person requires customised treatment.